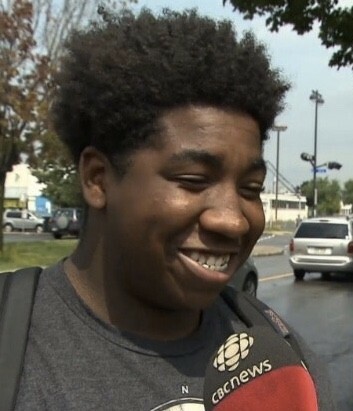 Malyk Bonnet, a 17 year old resident of Montreal, was on his way home when he noticed a man yelling at a young woman at a bus station. When the man asked Bonnet for travel money, Bonnet obliged and befriend him in order to stay close to whom he thought was a victim of kidnapping. Once Bonnet has earned the trust of the kidnapper, he invited the couple to dine with him at a restaurant, where he’d placed a call to the police from the bathroom. Upon arresting the man, policemen confirmed that the woman was indeed kidnapped, and that Bonnet had most likely saved her from the worst.